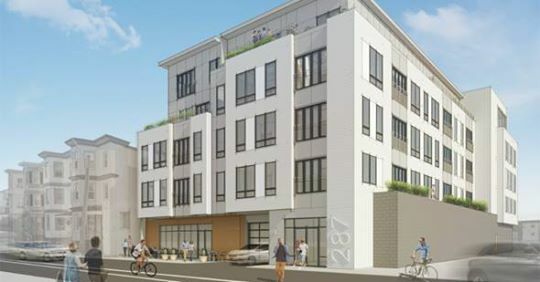 A strip of land up Jeffries Point that was once used to ferry millions of riders a year between the East Boston waterfront, Revere Beach and Lynn could become a series of five apartment and condo buildings under a developer's proposal. Read more. Architect's rendering of 205 Maverick St. 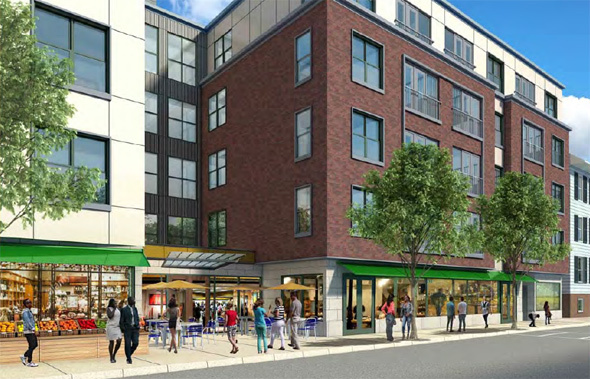 Developer Joseph Nogueira of Woburn has filed plans with the BPDA to replace a one-story building housing the Maverick Street Market and the Swish & Swash Laundromat on Maverick Street across from Frankfort Street with a five-story building with 55 residential units - and room for the market and the laundromat to move back into. Read more. 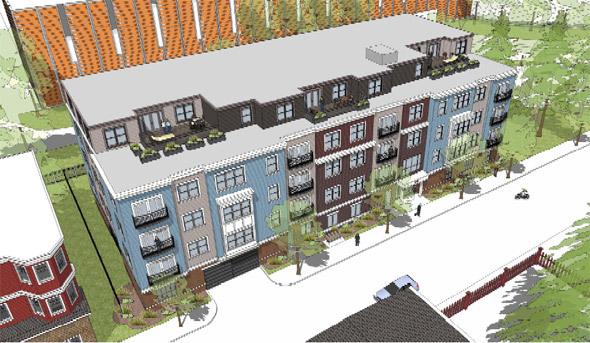 The Board of Appeals yesterday approved plans for a five-story, 38-unit condo building at 287-293 Maverick St. that will include ground-floor space for a cafe or restaurant. Read more. The Boston Fire Department ordered residents out of the four-story building at 175 Maverick St. after a rear brick wall undergoing some work began to collapse around 3 p.m. A few minutes later, fire commanders decided to get residents of 177 Maverick to leave as well. Two East Boston developers want to build 33 condos on what is now an overgrown old gas-station property at 320 Maverick St.. In their filing with the BRA, Joseph Ricupero and John Zirpolo said they would build 23 two-bedroom condos and 10 one-bedroom units, and provide 32 deeded parking spaces. Around 11:30 p.m on Maverick Street near Geneva Street; the bullet may have come through his door.